July 15, 2015 / Rachel C.
So…OMD3’s Day 15 prompt is ‘Cat’. Yeah, I wasn’t excited about this one. I don’t like cats. I don’t hate them or anything, but I’m definitely a dog person. So I really struggled to find something that I actually wanted to do for this one. My favorite idea was the Catbus from My Neighbor Totoro, but it would have been really hard. 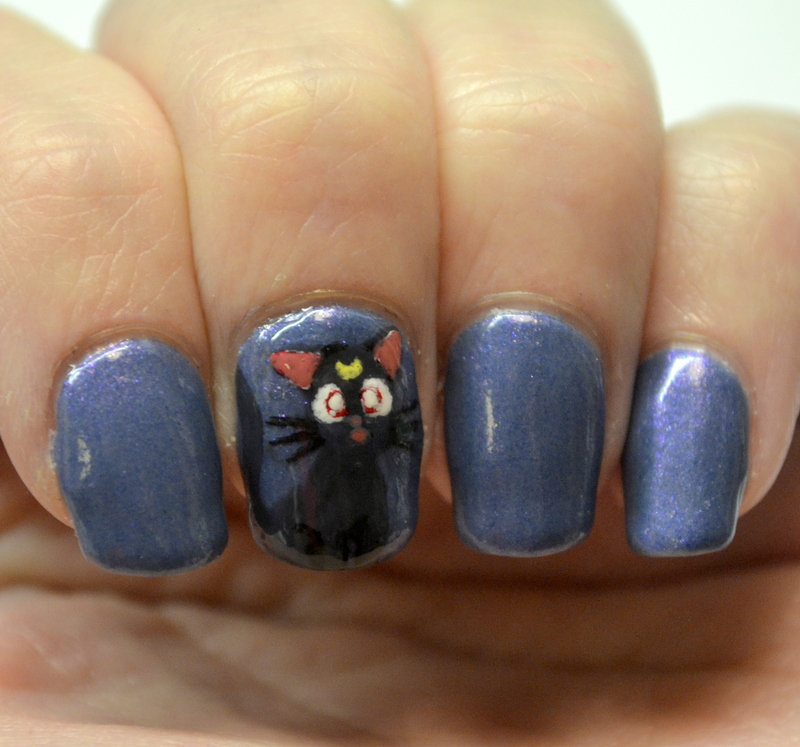 Instead I did Luna from Sailor Moon! 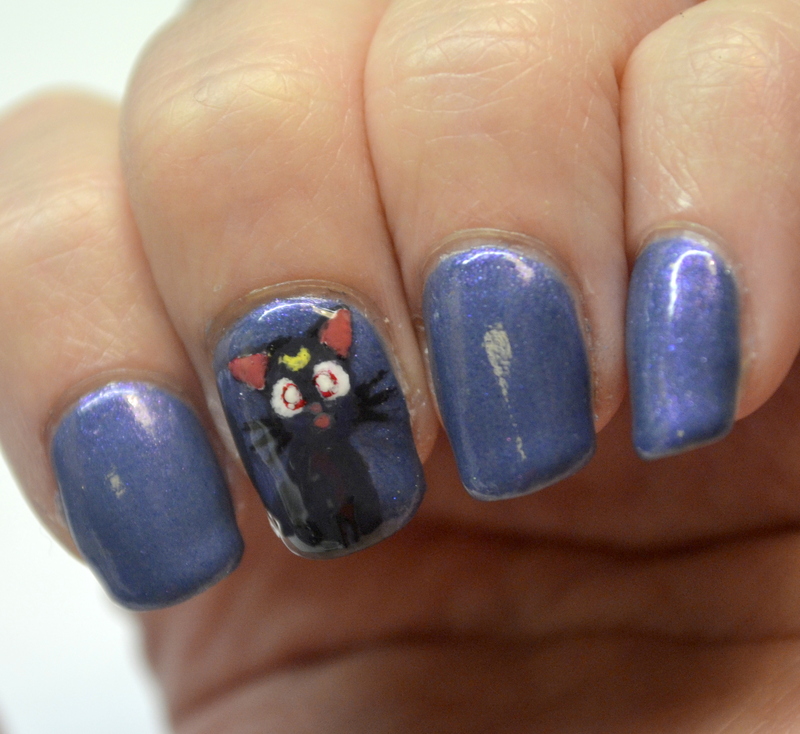 And just like with yesterday’s fish theme, I picked a base polish that fits the prompt too. For today, it was LynBDesigns Dinah, inspired by Dinah from Alice in Wonderland. This polish is much more blue than I was expecting from the swatches I looked at, but I love it nonetheless. 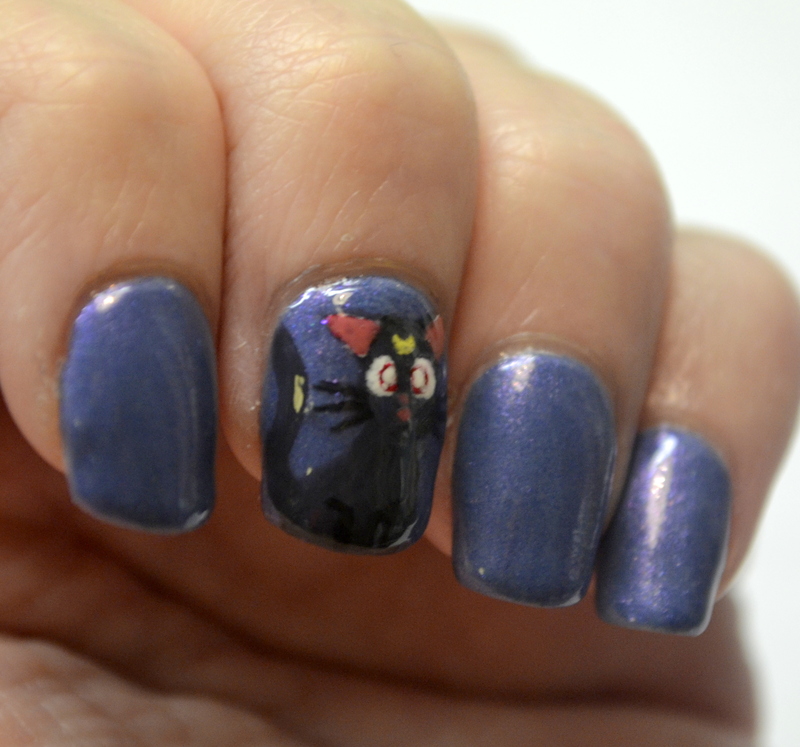 And it worked as a nice background for Luna. She turned out to be more difficult to paint than I thought she would be, but I got her done. Despite the somewhat messy details, she looks like she’s supposed to and I’m happy about that!